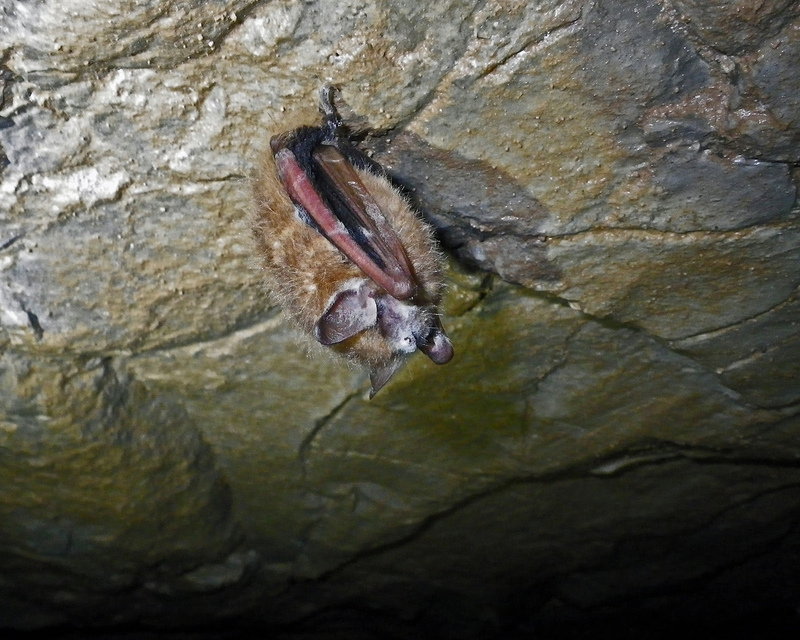 Recent winter surveys of 24 bat caves in 11 Alabama counties shows that white-nose syndrome remains confined to the state’s northern counties. The surveys, conducted by the Alabama Division of Wildlife and Freshwater Fisheries (WFF), U.S. Fish and Wildlife Service and other partners in the Alabama Bat Working Group, used cotton swabs to sample bats and cave surfaces for the presence of Pseudogymnoascus destructans, the fungus that causes the disease. So far caves and bats tested in Bibb, Conecuh, Covington and Monroe counties in the south have yet to show any evidence of the fungus. Since first being discovered in Jackson County in 2012, the devastating disease has spread to Lawrence, Limestone and Marshall counties. In addition Colbert and Lauderdale counties are considered “suspect” because the disease has not been confirmed on a bat through laboratory analysis. Colbert County was added earlier this year after DNA analysis of the cotton swabs detected the presence of the fungus. Meanwhile a bat showing symptoms in Limestone County tested positive for the disease. 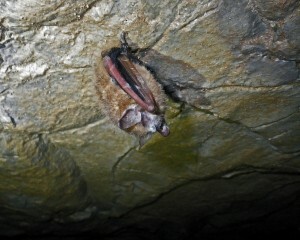 A dead bat collected at Cathedral Caverns State Park in Marshall County also tested positive for WNS. Cathedral Caverns State Park will remain open and is safe for visitors. Despite the confirmations, massive die-offs of bats have not been observed in Alabama as in other states. However, researchers in north Alabama are beginning to see lower counts of bats in some affected caves, a sign consistent with WNS.